We depend upon the generous financial support of our members and donors... people just like you who want to keep California’s rivers and streams clean, healthy and fishable. Your contributions directly fuel the work that we do. For every dollar donated, 80 cents funds the multitude of projects that we implement across the state. 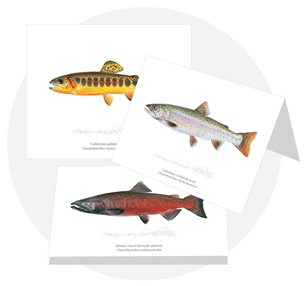 CalTrout decal and a “thank you” gift of your choice—show off your CalTrout pride! If you are already a member, click here to renew your membership. 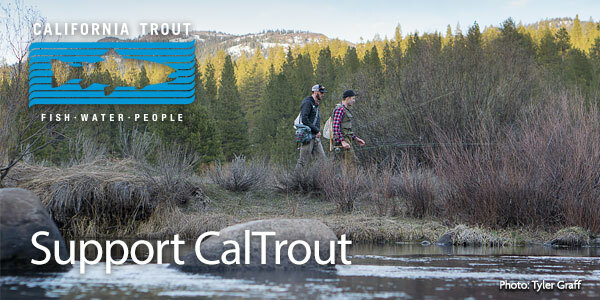 Stronghold Supporter: Sustain CalTrout by making a recurring monthly gift click here. 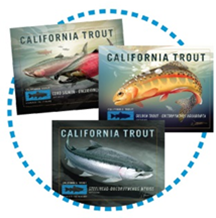 A donation to CalTrout is the perfect gift to that friend that has everything. It is also a lasting memorial to those we've lost.